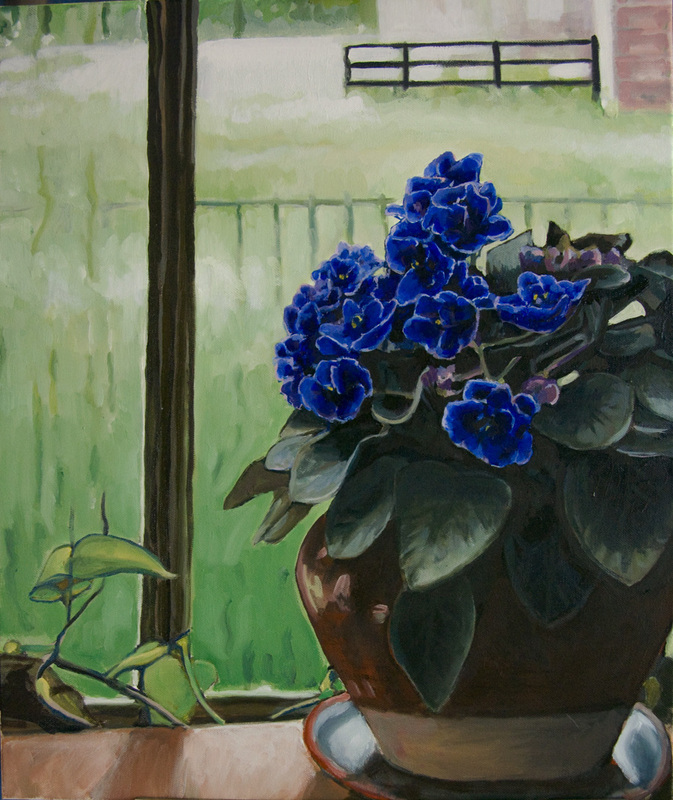 This is a painting of an African Violet (also known as Saintpaulia) at the house. It was raining when I started this painting and it hasn’t rained since. 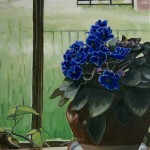 Besides the fact that the violets have withered and the image I have isn’t very good. I’ll take the good with the bad and I was expecting this painting to stump me a bit. It was a trying experience and I worked on this a couple different afternoons to no avail. The closest I can come to really understanding why this isn’t very good is that it falls somewhere in between having any expressionism and having realism. I was too bored with it to push it any further towards realism and I wasn’t able to replicate the original still life in order to capture the expression in the light.. So for the record, file under ~ trial and error. Sometimes I enjoy the failures just as much and I’ll put those images up too for the record.